3M Scotch® Wire pulling lubricant wax exhibits low coefficient of friction that decreases the chance of cable jacket damage. This 1.01 specific gravity lubricant comes in 1 qt bottle. The 6.5 - 8.5 pH odorless liquid gel wax in white color withstands a temperature rating of 25 to 140 deg F. The lubricant wax has vapor density of 0.9 - 1.1, vapor pressure of 18 mm Hg at 68 deg F and viscosity of 65000 - 100000 centipoise. 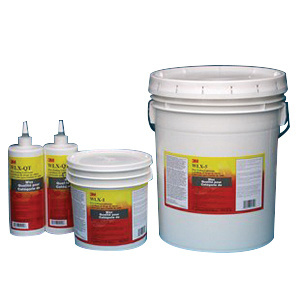 It withstands a temperature rating of 10 to 194 deg F. Lubricant wax UL/cUL listed and RoHS compliant.